Packed with patented technology and precision engineering, the Moto Series Inverted Air Cleaner drastically improves airflow over stock filters and delivers uncompromising performance. 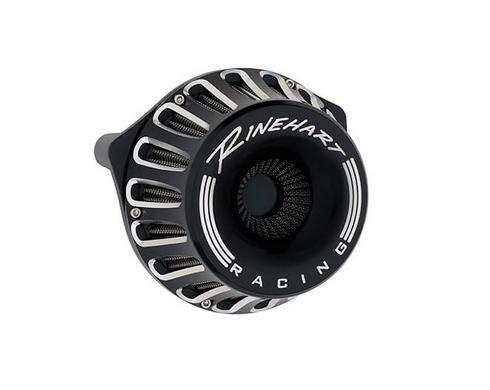 Available in you choice of black or chrome and designed with the same level of quality Rinehart customers have come to expect, the Inverted Air Cleaner looks as good as it performs; the perfect compliment to your Rinehart exhaust. Synthetic water-resistant washable filter element eliminates the need for a rain sock or oil.